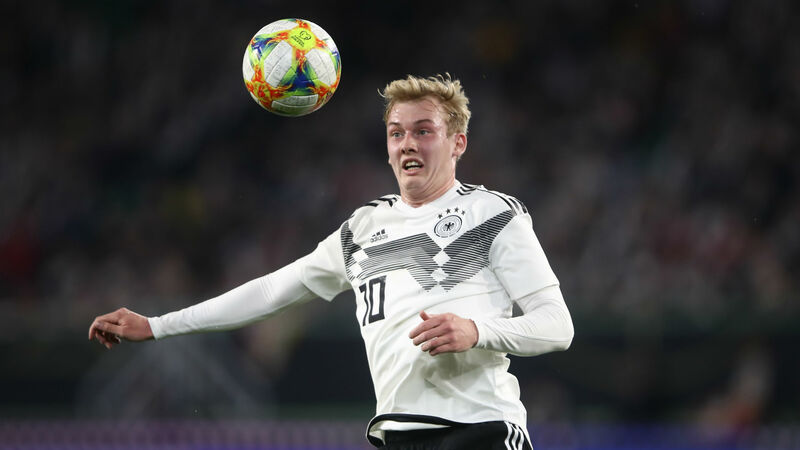 Julian Brandt described Germany's 2018 as like getting "smashed in the face", yet he is confident Die Mannschaft can recover and become an elite side again. World Cup winners in 2014, Joachim Low's side offered a meek title defence in Russia as they bowed out at the group stage, and they were then relegated from the Nations League top tier having finished bottom of a group featuring Netherlands and France. This calendar year has not started much better for Germany, who were booed off at half-time of Wednesday's 1-1 draw with Serbia in a friendly in Wolfsburg, yet Brandt is confident that the team's quality will soon shine through. "Sometimes you have a year where nothing goes right and you get smashed in the face, that happens," the Bayer Leverkusen midfielder told Omnisport. "Afterwards you start again and it will go uphill again. So we know the situation, we know how good we are. "We don't have to hide just because we had a bad year." Germany face Netherlands in their first Euro 2020 qualifier on Sunday, the Dutch having thrashed Belarus 4-0 in their first game on Thursday. Low's side met Ronald Koeman's men in the Nations League, with Netherlands winning the first game 3-0 and then scoring twice late on to draw 2-2 in Gelsenkirchen. Yet Brandt feels that second game in November was an indication that Germany can still compete with the best nations in world football. "In the game against Netherlands we saw that we are on the same level," he added. "In the first game we got beat fairly but in the second game we let the win get away. "So we don't have to make ourselves worse than we actually are. We are a good team, even though the results weren't what we wanted them to be, but this will change again, I'm sure." France, who succeeded Germany as world champions in Russia, were the other team in that Nations League group. After a 0-0 draw in Germany, France came from behind to win 2-1 in Paris, with Brandt conceding that there is a gulf in class between the two that Low's team need to make up before the next major tournament. "There are one-and-a-half years left until it's going to be important again," he said. "I think that we're currently a bit away from France and our team in 2014, which won the World Cup, but you can catch this up."